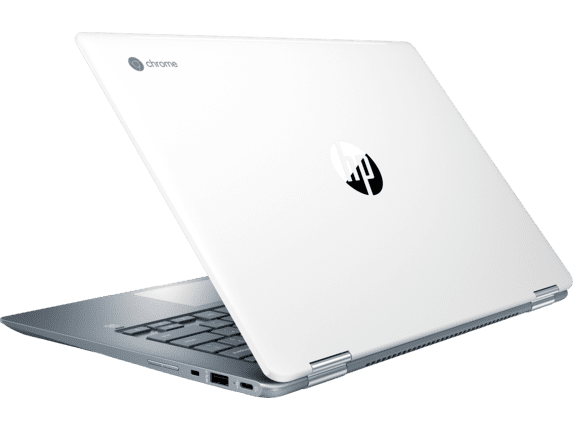 HP Knocks $150 Off the 14″ HP Chromebook x360 For Black Friday! We haven’t done a full review of HP’s latest flagship Chromebook but based on some brief hands-on at Best Buy, it very well could be the best overall 8th gen Kaby Lake device. Best Buy has the HP Chromebook x360 14 listed for $649 but discounted to $599 and that may look like a good deal but the HP Store has destroyed that deal. The model numbers are different between Best Buy and HP but the specs appear to be identical. On the inside, you’ll get a Core i3-8130u processor, 8GB DDR4 RAM and 64GB of storage. Around the outside, the HP comes with a 14″ 1920×1080 IPS touch display, 2 USB-C, 2 USB-A and a MicroSD card reader. We’ve done some testing with the Core i3 in the Dell Inspiron Chromebook and the Core i5 found in the Acer Spin and a number of Chromeboxes and have found that the i3 performs almost as well as the i5. I’m still trying to figure out why the Core i5(which should score substantially higher on benchmarks) seems to be nerfed. Long story short, the Core i3 consistently scored a mere 2000 below the i5 on Octane 2.0 tests. Frankly, the Core i3 is probably more than most users will ever need. Paired with 8GB of RAM, there isn’t much you’ll throw at it that it won’t slice through like butter. Now for the best part. HP has the retail price on the x360 14 Chromebook at $599, $50 less than Best Buy. On top of that, they’re reducing the price for Black Friday by a crazy $150 to $449!! I haven’t had any real screentime with this Chromebook but just based on the internals, design and build quality from a brief handling, this deal is probably one of the best of the holiday. Yes, the Pixelbook can still be had for $700 and you won’t be sorry if you buy it. However, if you’re wanting to spend less than $500 and get a killer device, this is it. This Black Friday deal is live at the HP Store and runs until the 24th so act fast and get a whole lot of Chromebook for very little cash. We’ll be updating our Black Friday lists all day so make sure to bookmark the deals page to stay up-to-the-minute on the latest savings.